2. 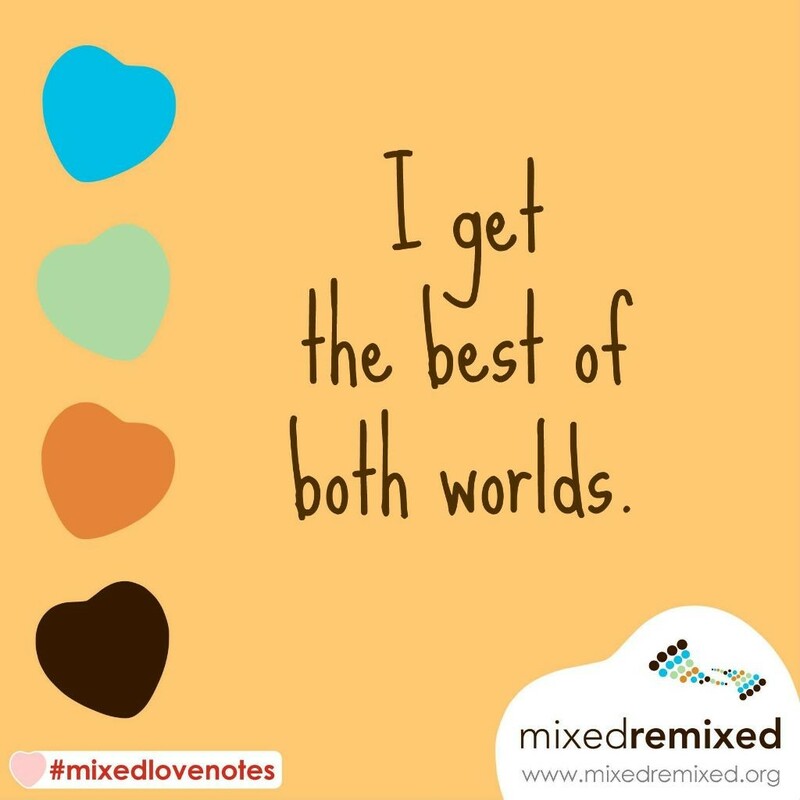 I get the best of both worlds. 3. I am not confused. 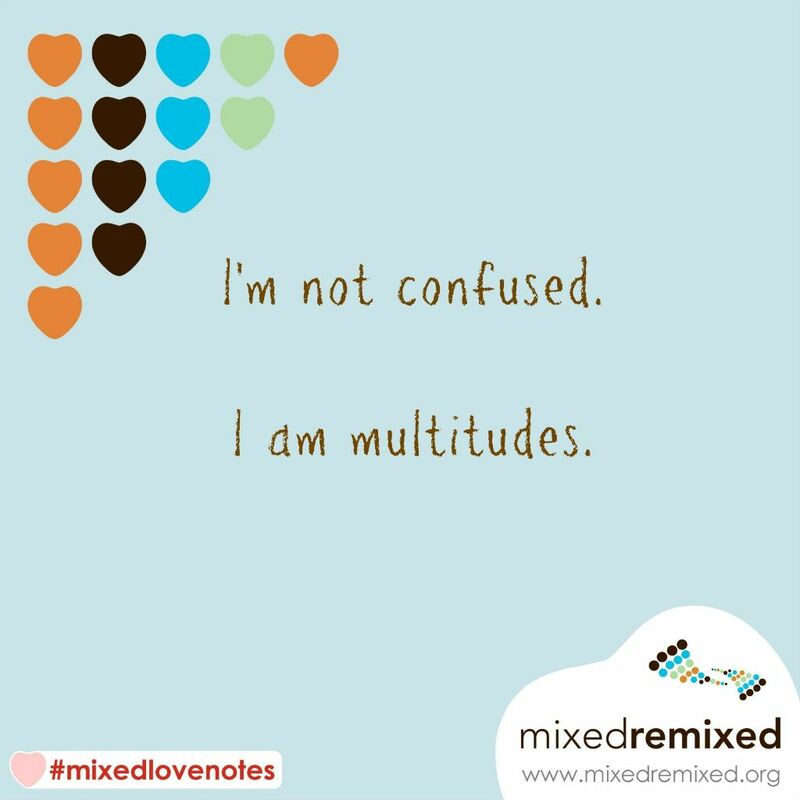 I am multitudes. 4. 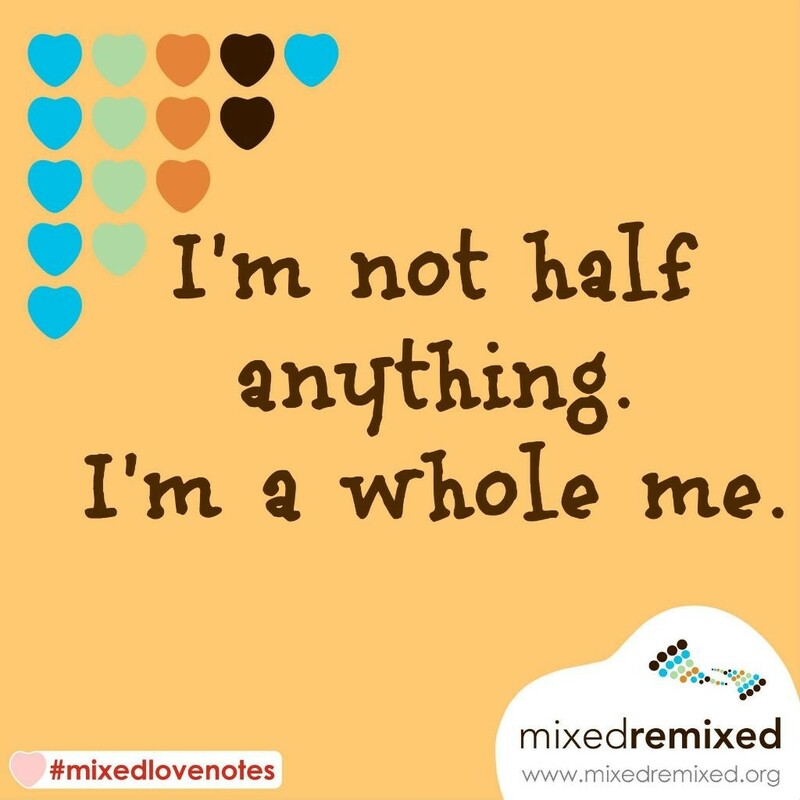 I’m not half anything. 5. 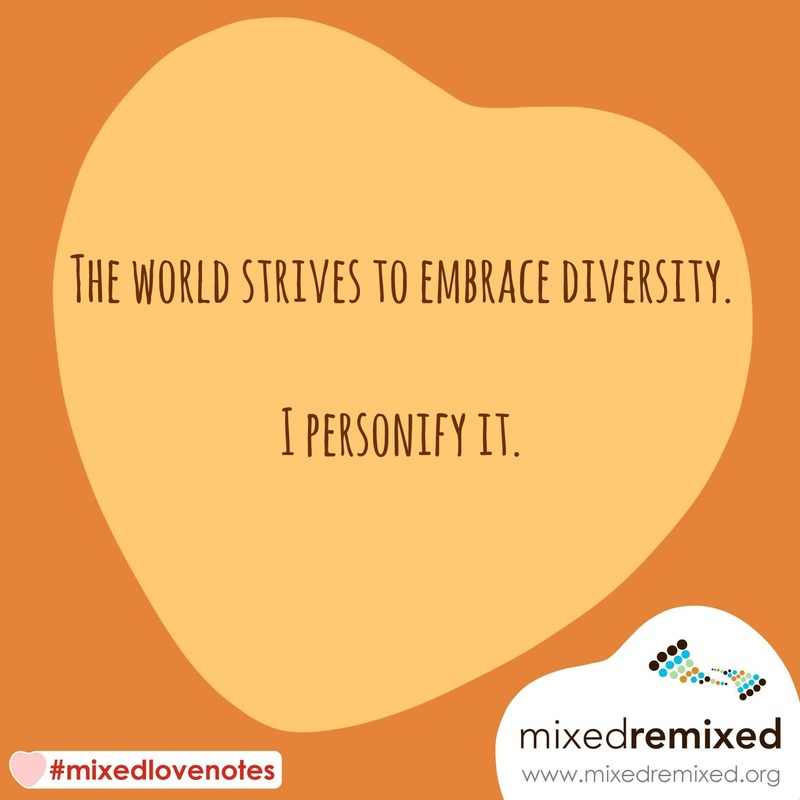 The world strives to embrace diversity. 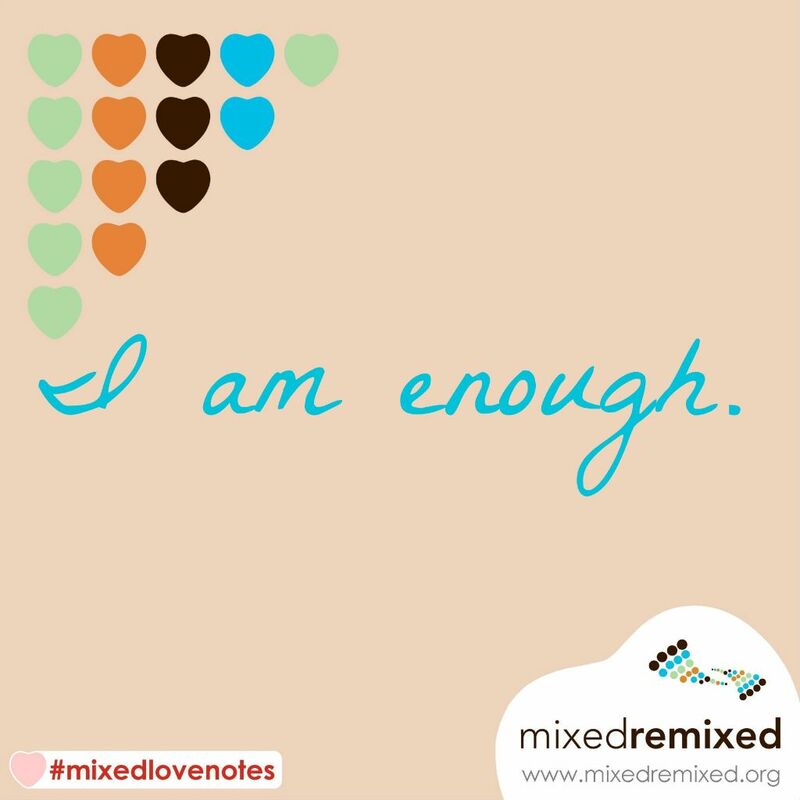 I personify it. 7. My story is important even if it’s very specific. 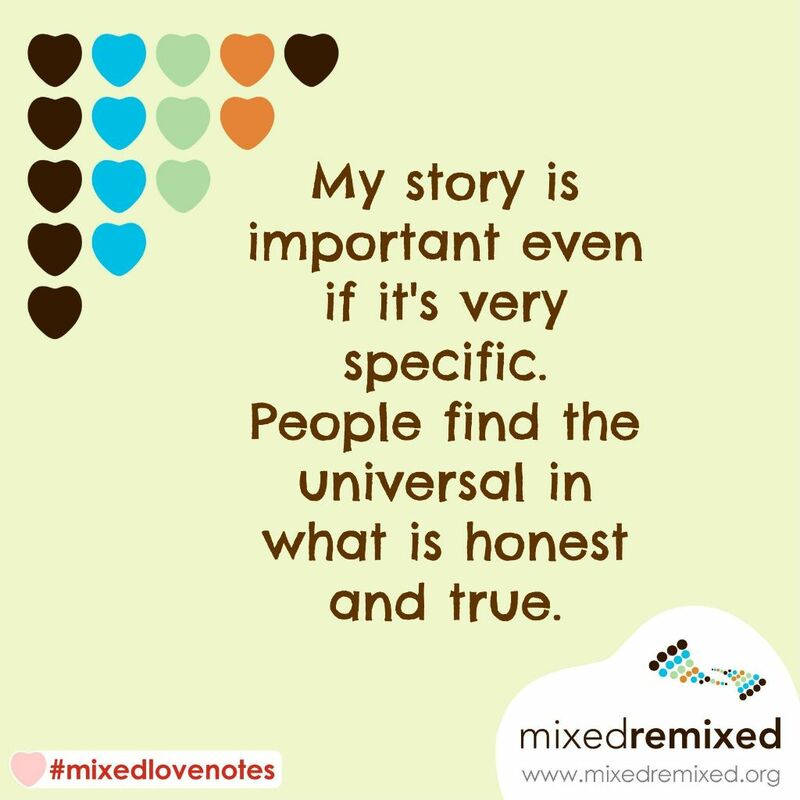 People find the universal in what is honest and true. 8. 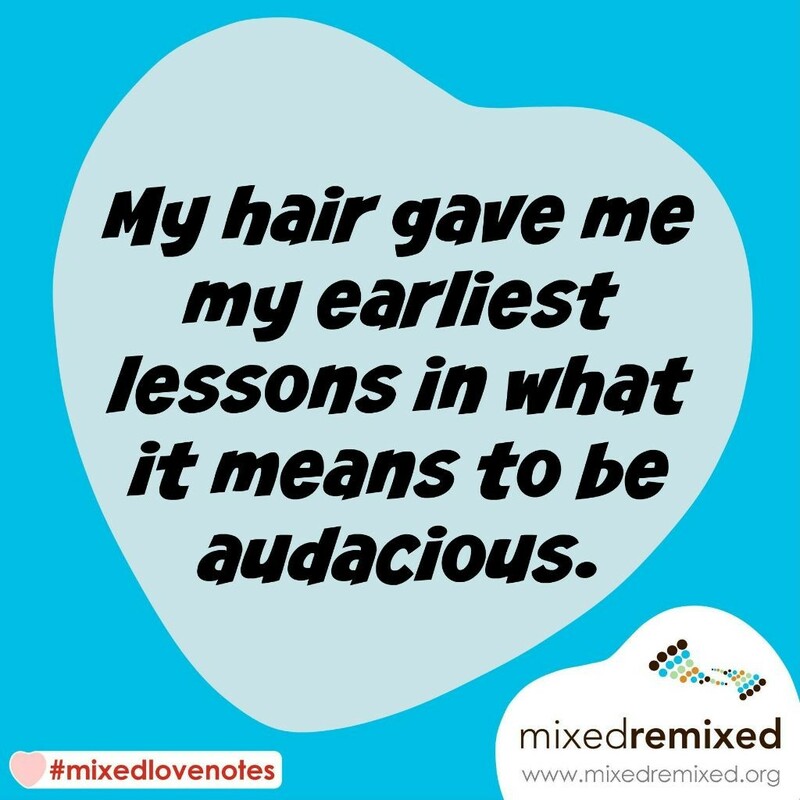 My hair gave me my earliest lessons in what it means to be audacious. 10. 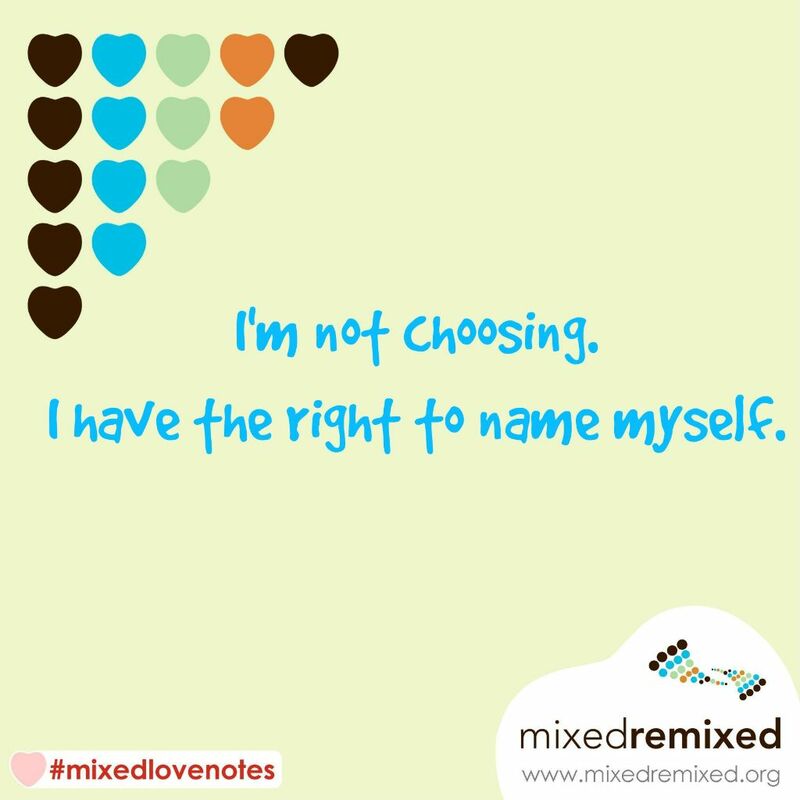 I don’t feel lonely in my Mixed experience anymore. 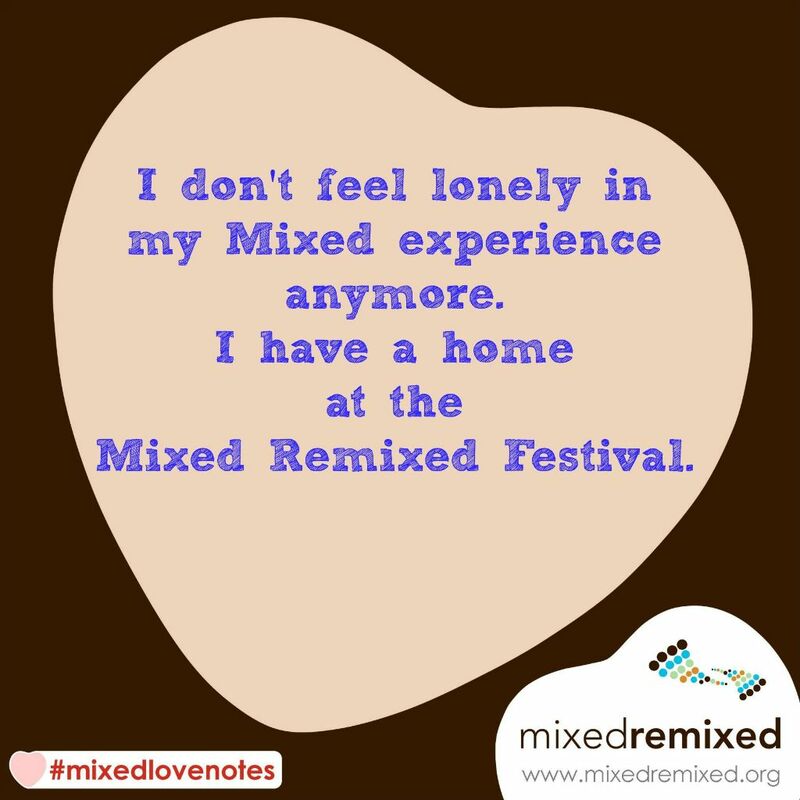 I have a home at the Mixed Remixed Festival. #mixedlovenotes	Happy Holidays to Our Mixed Remixed People!